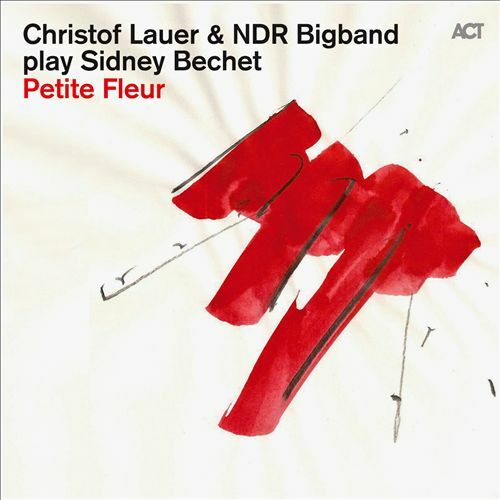 Christof Lauer & NDR Bigband Play Sidney Becht ‘Petite Fleur’ (ACT) 2nd June 2014. A double bill this week from the assiduous German jazz label ACT, both releases re-interruptions of their polar opposite sources, with Pierrick Pédron straying off the beaten track, livening up The Cure’s back catalogue, and Christof Lauer remaining within the jazz perimeters, paying sublime tribute to the work of the late soprano saxophone legend, Sidney Becht. Sharing a peculiar outsider status, it shouldn’t come as to much of a shock that the sullen moody nature of most Goth bands and the dedicated seriousness of most jazz players can actually cross paths and prove fruitful. 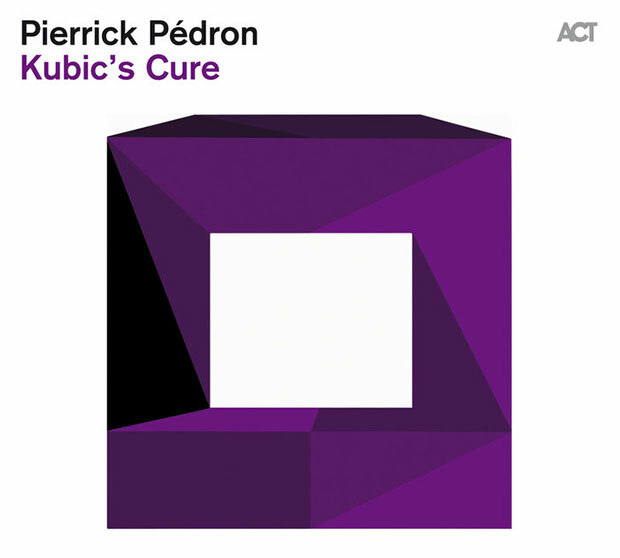 A concept that at first seems oddly disconnected is flipped on its head, with Pedron performing a slight of hand musical trick in marrying The Cure’s esoteric pop lullabies with progressive, tub-thumping jazz. Bouncing to a vibrant, seat raising, cymbal riding and kick drum dominated breakbeat– played with conviction throughout by the drummer, Franck Bouubaker –, the Cure’s originals have never sounded more spring-y and full of life. Some of those melodies fair better than others, teased, manipulated and sometimes twisted out of shape, you can always recognize something. The rest of the score is pure 60s and 70s psychedelic, street jazz and Be-Bop; with exceptional as expected, performances of lean bowed and bending double bass from Thomas Bramerie, and collaborations from such worthy exponents of their craft as Médéric Collignon (letting out steam and lamenting the last anguished embers of a sorry soul on the wild avant-garde rendition of ‘Killing An Arab’), Ghamri Boubaker (playing the Persian derived zurna and Algerian flute on the sandstorm bazar ride across a exotic and frightening North African landscape, ‘A Reflection’) and the fellow saxophone player Thomas de Pourquery (who puts the sax down to sing; though howling primal scream would be a more appropriate description). Their leader is a dab hand himself on the saxophone, squalling, reeling and running madly away with the trigger of the Cure’s initial tune, teasing out a new narrative from his reshaped interpretations. It’s hard to disguise the Cure’s inimitable melody on the finale two tracks, ‘Lullaby’ and ‘Boys Don’t Cry’, perhaps the most recognizable of signatures from the mascara besmirched group, taken on a loosely skipping trip to Greenwich Village by Pédron and his crew. Whether the Cure’s dedicated fandom will be impressed remains to be seen and heard, its certainly livened things up and where necessary, made the exotic a hell of a lot more chaotic. Jazz aficionados, fleeting and the non-committed alike will however lap this invigorating fusion up. Asked by the ACT label’s founder, Siggi Loch, a decade ago if he’d be interested in a project that relit and reinterpreted the pioneering work of New Orleans’s finest, Sidney Bechet, Christof Lauer agreed but held back until he felt the moment was right. That moment, though its taken some time (ten years to be more exact), has finally arrived, and the German saxophonist of great repute – a veritable envious who’s who of the American, Frankfurt and French avant-garde have at one time or another accommodated Lauer, from Albert Ayler and Stan Getz to Albert Mangelsdorff and Michel Godard – has been very kind to the venerated Bechet. Holding back from reinvention – though he has indeed added some contemporary elements – and complimenting the original source material rather than deconstructing it, Lauer’s main angle is to invite the NDR Bigband in to add a rather elegant, but not as bombastic as it may suggest, backing. A member of the NDR since 1993, Lauer’s initial reservations were soon quelled when the group’s director of the time, and also Lauer’s teacher in Graz in the 70s, Dieter Glawisching, convinced him that the orchestra could be used as a soloist backing band. Fast-forward twenty odd years and Lauer with fellow band member, the reputable arranger and composer Rainer Tempel, prove just how successful and congruous this interplay can be. Though renowned for his attentive and impressive performances on the tenor saxophone, Lauer goes to work on the soprano for the Showtime, blossoming and gently swooning, opener, ‘Dans Les Rues D’Antibes’ – a buoyant cruise down to France’s south east coastline resort. As you’d expect from Bechet’s oeuvre there is a heavy French accent on display with brief excursion to the former Magrebinian colonies on the sultry, exotic, Arabian nights via a RKO studios back lot film set ‘Casbah – Song Of The Medina’, and a couple of numbers picked from his ‘Paris period’, the pining wistful floral epic ‘Petite Fleur’ and smoothly played 70s cop drama-esque theme tune, ‘Les Oignons’ (lovely dappled electric piano on that tune too that adds to the sophisticated, lounge vibrations). Covering songs that Bechet himself covered by other notable luminaries, the band offers something a little more esoteric with their mysterious flange coated and whispery take on Fats Waller’s ‘Honeysuckle Rose’. The final duo of outro songs includes a breezy Manhattan style version of Harry Barris’ ‘Wrap Your Troubles In Dreams’ and a subtly smooch worthy showbiz version of Jimmy McHugh’s ‘On The Sunny Side Of The Street’. Full but never crowded, every note seamlessly finds the ear, with Lauer’s solos either theatrically plaintive or skipping lightly across the path of stereotypic lovers. A little saccharine for my tastes, though the musicianship is faultless and descriptively emotive. It cannot be denied that Lauer and the NDR have served the original maestros material well, hopefully enticing not just fans of Bechect but also highlighting the scope and, in some cases, the intimacy of a Bigband sound to a new audience.